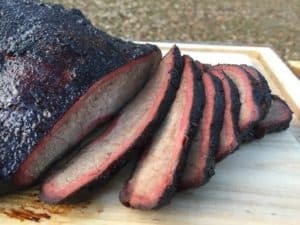 If you are searching for how long to smoke baby back ribs at 225F then you are probably seeing lots of different answers. The quick answer is that it should take between four and six hours to smoke baby backs. To get a better answer we need to look at some of the important factors that come into play. Let me walk you through my last rib cook and I’ll break down the issues that will influence your cook times. For my last cook I was working with two slabs of ribs that weighed a little over three pounds each. One slab was finished in four and a half hours while the other slab took five and a half hours. I seasoned two racks of baby backs and smoked them for three hours at 225F. At the three hour mark the meat had started to pull back from the bone and the ribs had some nice color. One slab of ribs was taken off of the smoker in wrapped it in aluminum foil along with some Parkay, honey, brown sugar and apple juice. The foiled ribs were returned to the smoker along side the other slab where they cooked for another hour. At the four hour mark I took the ribs out of the foil, painted them with some barbecue sauce and put them back on the pit. After another 30 minutes the ribs that had been in the foil were done for a total cook time of four and a half hours. You can tell when the ribs are done by using a toothpick. If the toothpick can slide through the meat with no resistance then they are ready to eat! These ribs were “bite through” tender. The second slab of ribs stayed on the smoker for another hour. I cooked this slab until a toothpick slid through the meat and the slab almost fell apart when being lifted with some tongs. These ribs were “fall off the bone” tender and took five and a half hours to smoke. Now that you have seen what I did let’s talk about why your ribs will probably be different. How Big Are Your Baby Back Ribs? Some purists insist that to really be a baby back rib that the slab cannot weigh more than two and a half pounds. Purists aside, there are many stores that sell “extra meaty” baby backs that weigh in at over four pounds per slab. My cook times are for three pound slabs of ribs. I would suggest checking for doneness a half hour earlier for ribs under three pounds and a half hour later for ribs over four pounds. Are You Wrapping Your Ribs in Foil? Wrapping the ribs in foil has benefits and drawbacks. Wrapping speeds up the cook, protects the ribs from getting too much smoke and allows you to add more flavors in the foil pouch. On the downside, you can lose a lot of your surface bark, it is easy to scald yourself when you open the pouch and it sometimes feels like cheating. 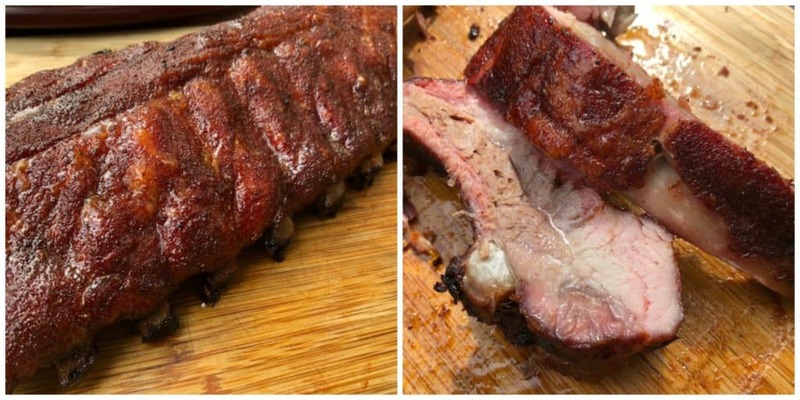 Based on the benefits and drawbacks there is a lot of variation in how people foil their ribs. Some folks like to foil sooner and longer to get the ribs done faster. One variation is to foil at the two hour mark, cook them in the foil for 90 minutes and let them finish up uncovered for another 30 minutes. This would give you a cook time of right at four hours. How Tender Do You Want Your Ribs? 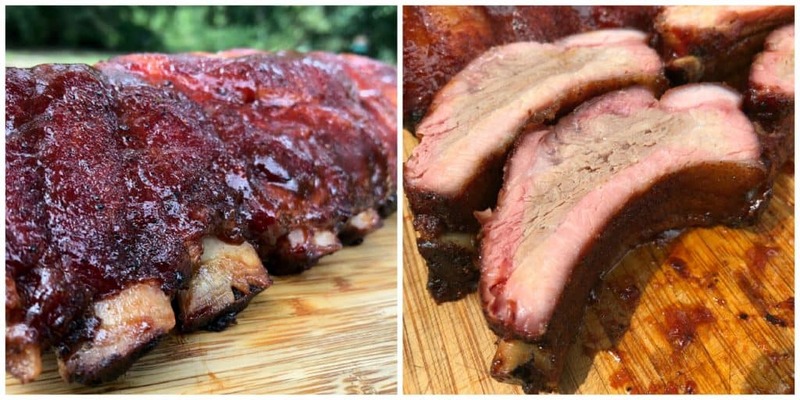 The “right” tenderness for ribs is a battle between ribs that are “bite through” or “fall off the bone” tender. A “bite through” rib will have just a little bit of tug to it when you bite in. The bite of meat will cleanly pull away from the bone and the remaining meat will stay intact. This is the standard tenderness required in KCBS barbecue contests. 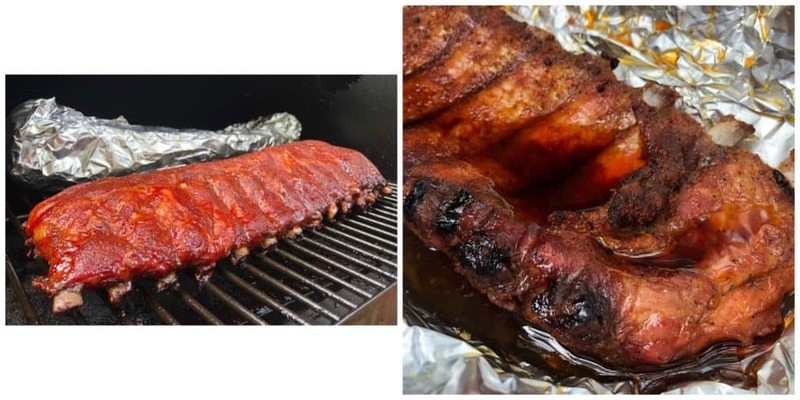 You can keep cooking your ribs after they hit the “bite through” stage until the slab just about falls apart on your pit. The ribs will be melt in your mouth tender and will completely fall off the bone at some point between slicing and your second bite. KCBS folks will tell you that “fall of the bones” ribs are over cooked and ruined. The other 99% of the world’s population prefer the ribs that are the most tender. I have no idea how you like your ribs but if you want them to be fall off the bone tender it will take another 45 minutes or so than if you want them bite through tender. Go Easy on the Smoke: Baby backs are a mild flavored piece of pork that is easily overwhelmed by too much smoke. Shoot for ribs that have been kissed by smoke instead of smothered. Serve Sauce: A lot of folks will tell you that great barbecue doesn’t need sauce. Those folks might be right but that doesn’t change that many folks love barbecue sauce and would appreciate it being served. Serving great barbecue is about making your guests happy, not stroking your own ego. Sweet Heat: Ribs are excellent with a Sweet Heat flavor profile. On your next cook put on an extra slab and brush it with melted pepper jelly about 30 minutes before it is time to take them off your pit. You might be surprised by how much you like them! We have been talking about smoking ribs at 225F but there is a lot of debate over what is the optimum temperature for rib smoking. Legendary rib master Mike Mills smokes his World Championship Ribs at 200-210F. On the other extreme, pitmaster Ed Mitchell cooks his ribs Hot and Fast at around 325-350F. I believe that meat responds to high temperatures by tightening up. As such, if you can smoke it a low temperatures it should be more tender. The other drawback of high temperatures is that dry rubs containing sugars can scorch and turn bitter. So while it might make sense to smoke ribs at as low a temperature as possible that also runs into problems. It takes a lot longer to cook ribs at 200F. Most of the bad ribs I have eaten have been ribs that were tough and under cooked because someone got impatient after five hours and pulled them off before they were done. It is tough to maintain a CLEAN fire at really low temperatures for the entire length of the cook. You will have to work with a small fire with your vents choked back. If you get the balancing act wrong you can easily end up with a fire that is oxygen starved and potting out dirty, bitter smoke. The trade off between the speed of the cook and tenderness of the final product is what gets people dialed into the 225-250F range. 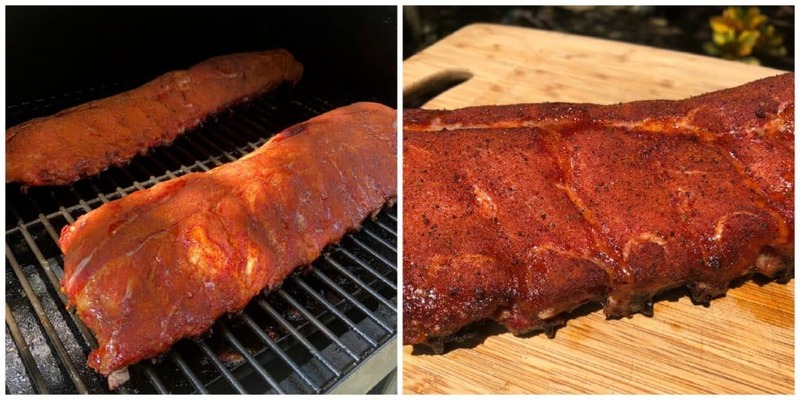 I have smoked ribs at both 225 and 250F and the only real difference that I have noticed is that the 250F ribs get done faster by 30-45 minutes.